Surfed the web. Found this bargain a few days ago. Made the purchase a few minutes ago. This is a non-eBay store. Bargain basement price of $28.27. 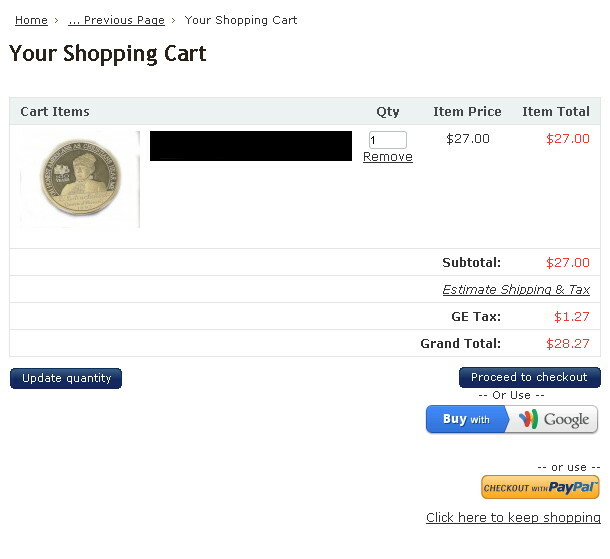 Coin is X# MB83, 100th Anniversary of Overthrow (a Royal Hawaiian Mint product). Catalog value of $65. I may resale it on eBay, since this is a duplicate in my collection.